These joysticks are made by Sanwa and regarded by many as the best arcade joysticks available. They are used in some Japanese cabinets such as the Sega Naomi and are virtually indestructible. They feature a metal universal mounting bracket, which ensures they will fit into the existing control panel of your cabinet without having to drill extra holes. They have a light spring pressure for really fast movements. 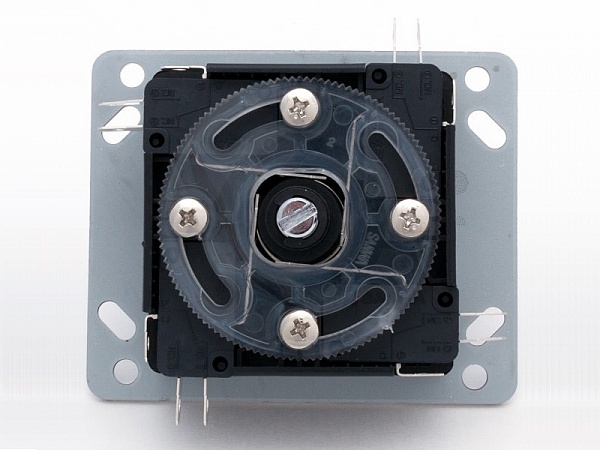 They can be easily swapped between 8-way and true 4-way mode by rotating the restrictor plate at the bottom of the assembly. You can also increase the spring pressure by removing and stretching the spring, which is accessed by undoing the 4 screws at the top of the mounting plate. Another nice feature is the long switch actuators which allow exact “tuning” of the switch sensitivity with careful use of long-nosed pliers. 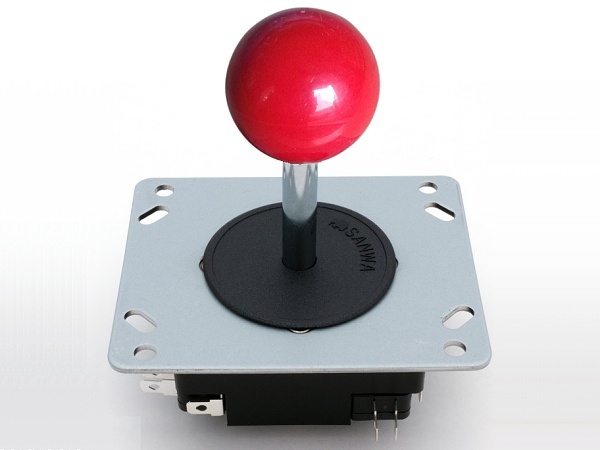 In addition, the Bat Tops (which are original Sanwa items) use a larger thread than the balls, so we fit them with a nylon sleeve so they can be fitted to all our joysticks.